In today's current and historical organisation situations, the Leadership or Organisational Vision if often well intended, yet, lacking something for almost every stakeholder. A Leadership vision cannot be 2-pages long; however, that would seem to be what's needed to keep everyone engaged and happy! With this err of understanding, we often see very complicated, messy and overprivileged Vision statements that are haemorrhaging from multiple locations and places. Organisations and often misdirected and being 'lead' by more people 'wandering' than Leading in a collaborative, confident and unified way. Using all 4 quadrants this day is to assess the current org. 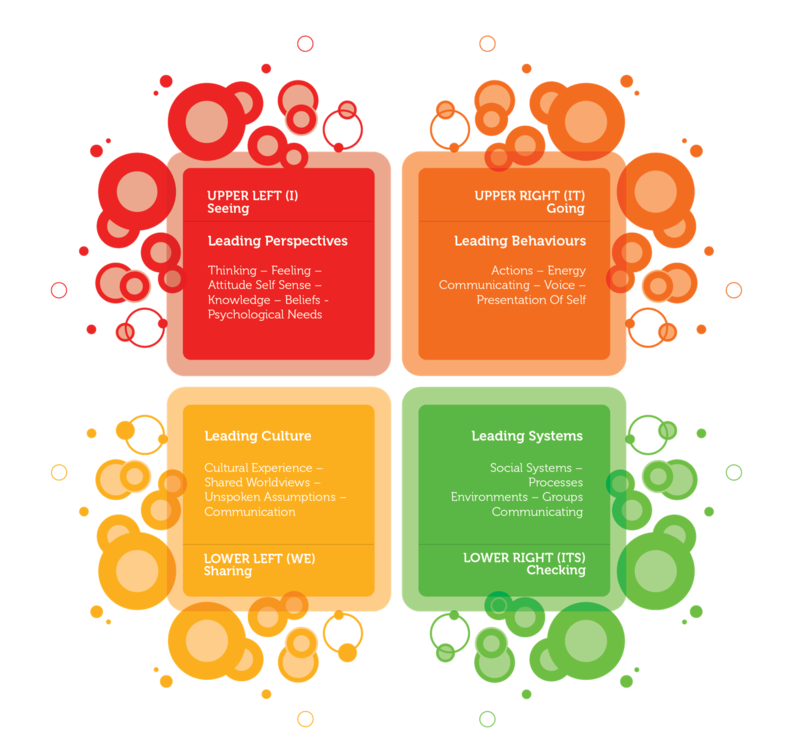 or Leadership vision against an integrally informed wide lens; The 4 Quadrants. Then toward envisioning a more Integrally informed Leadership vision, identifying one crucial aspect from each quadrant to contribute to an overall Integrally informed Leadership vision and statement that enables a timely, intentional, meaningful and engaging vision for the people to follow. Each Leader may have formed their functional Leadership Vision, or they may have contributed to the different, new emerging leadership vision. The dynamic of the need for a collective and individual vision and the relationship between both are explored, shared and discussed. Closing the day, using developmental action inquiry (DAI- Torbert) each Leader formulates several core intentions with strategies, behaviours and evaluation criteria, on realising and embodying the new or 'different' vision as a Leader and how they will engage and inspire their followers, for post-workshop engagement leading to understanding and living a more Integrally informed Leadership vision. 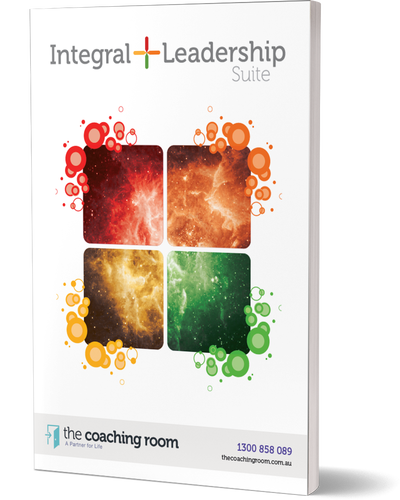 Leading an Integral Leadership Vision is Day 4 of our Integral+Leadership™ suite. It is delivered In-house usually on the premises of the organisation engaging the program. This corporate Leadership training program can be scaled organisation wide both nationally and Internationally.